Sharpen your pencils, pack your bookbag, and take note, because school is in session! 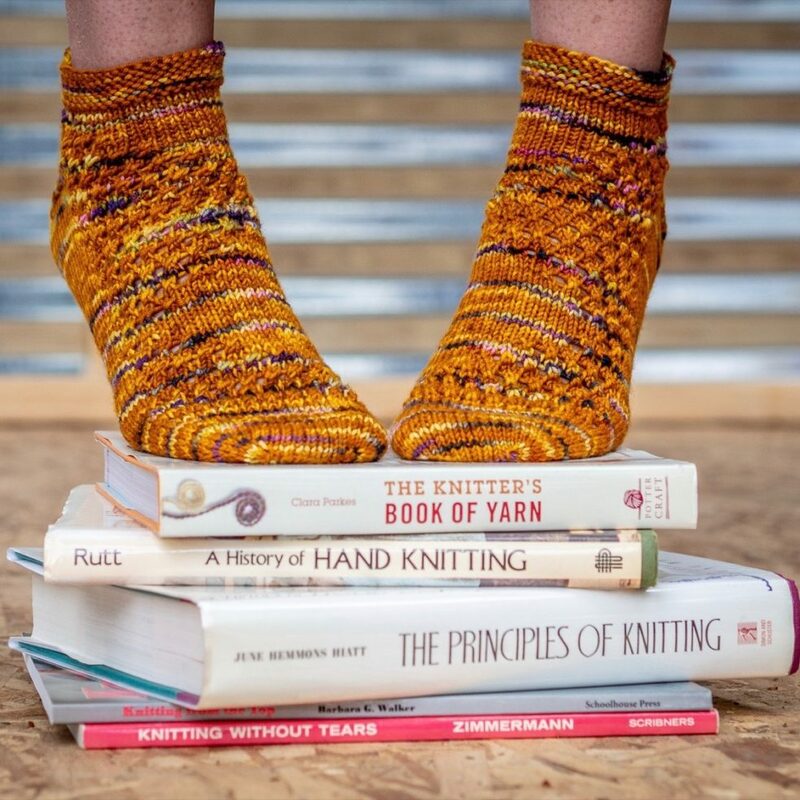 These toe-up DK-weight socks are just the thing to get you through the first few days of school, and perfect for snuggling up in as you go over your notes from the day. 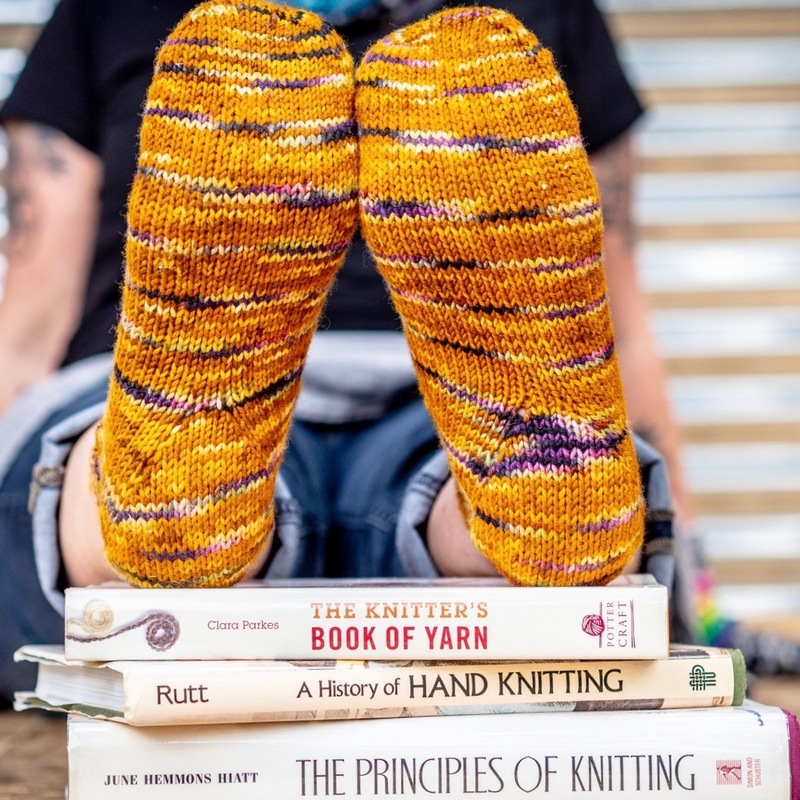 With interesting gusset increase construction and a fun mirror-image ziggy-zaggy eyelet pattern on the top of the foot, you’ll be totally engaged while you fall into the rhythm of the pattern. Finished Measurements: Adult extra-small/xs (small/s, medium/m, large/l, extra-large/xl): to fit 6.5 (7, 7.5, 8, 8.5)“/17.75 (19, 20.25, 21.5, 22.75) cm foot circumference. Finished sock foot circumference: 6.25 (6.75, 7.5, 8, 8.5)” / 16 (17.25, 19, 20.25, 21.5) cm. Yarn: approximately 175-280 yards DK-weight yarn. I used Knitted Wit Victory DK in No. 2 Pencil. Needles: US3/3.25mm (or size to obtain gauge) for small-circumference knitting.